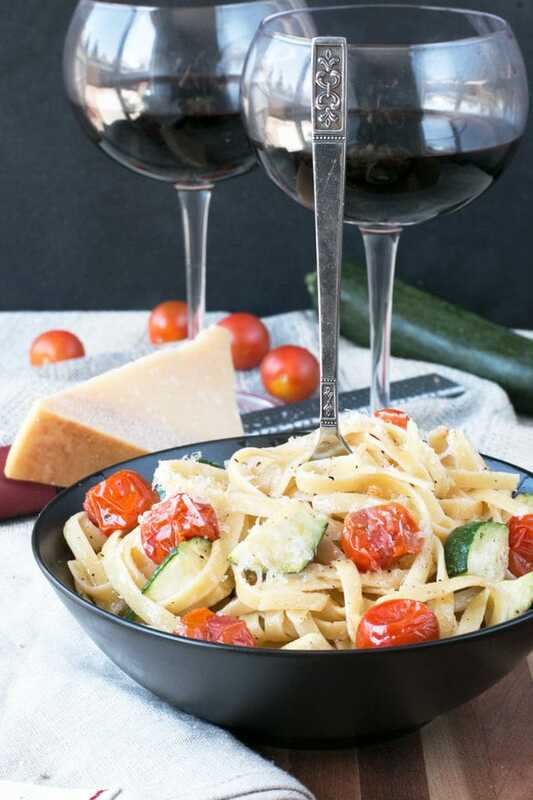 Brown Butter Spring Vegetable Fettuccine is one of my favorite spring pasta recipes to indulge in. With roasted fresh spring vegetables and a creamy brown butter sauce, this dish is as easy to make as it is to eat. Plus it’s ready in only 20 minutes! It’s hard to believe Spring is well underway and summer is starting to peek around the corner ahead… Here in Colorado it feels like you get a true Spring from time to time… and other times it’s winter. Then other times, it’s summer. It can be a little confusing to someone who just wants to have thunderstorms, spring flowers and moderate temperatures for a couple of months. The way that I stay sane is through the season’s food. You know when the season’s change, how much you crave the new season’s food?? This year I’ve been too buried and running all over the place to even realize that Spring has sprung. It didn’t help that it snowed again earlier this month, but c’est la vie in Colorado. 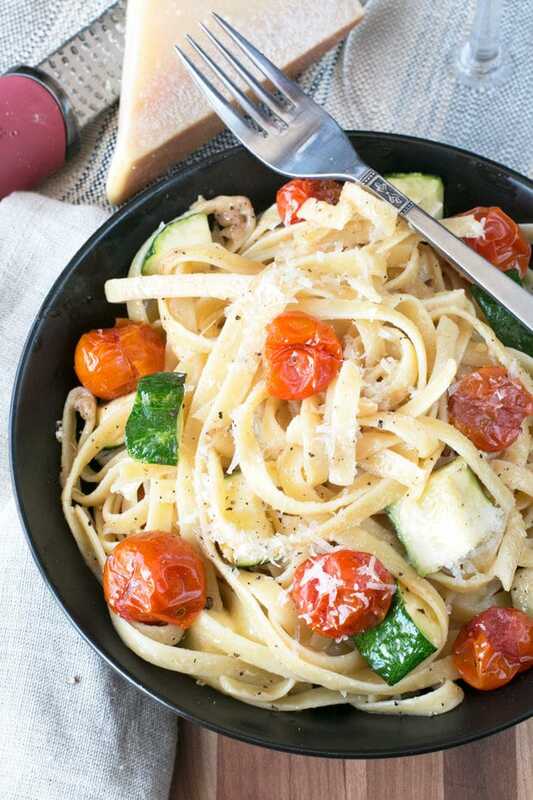 This pasta is one of those Spring meals I love to cling to. 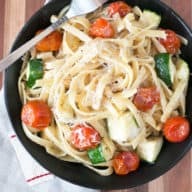 It’s got everything I think of for summer – roasted fresh vegetables, a creamy and light brown butter sauce, and roasted pine nuts to give it an extra toasty note in each bite. There’s a giant burst of flavor in every single bite! The burst of roasted cherry tomatoes and zucchini in each bite is the reminder I need to crawl out of a constant cycle of chilis and stews. 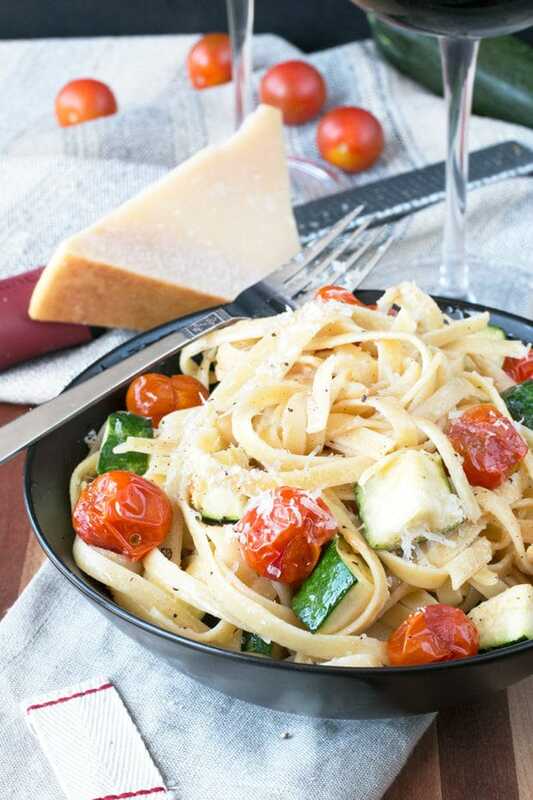 It’s a bowl of freshness that when you top it all off with a generous sprinkle of cheese, you’ve got an easy spring pasta dish that everyone will be clambering to get their hands on at the dinner table. 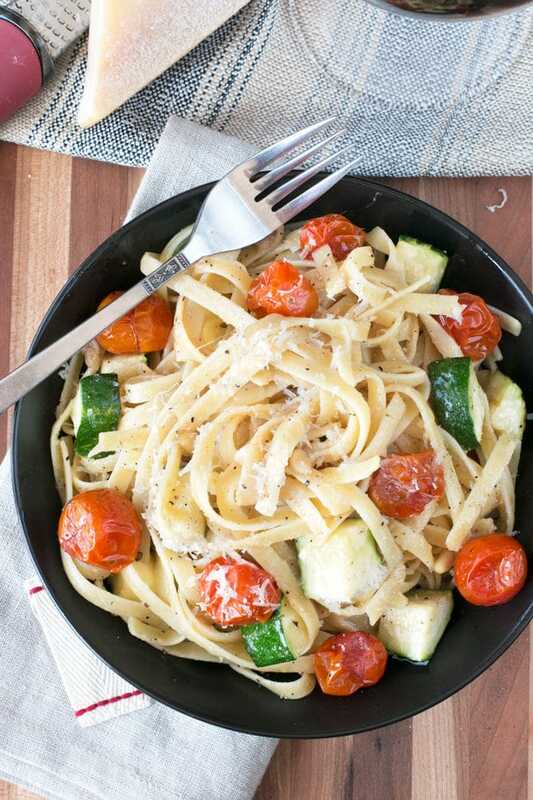 Pin this Brown Butter Spring Vegetable Fettuccine recipe for later! Creamy brown butter, pasta, pine nuts and fresh spring vegetables! 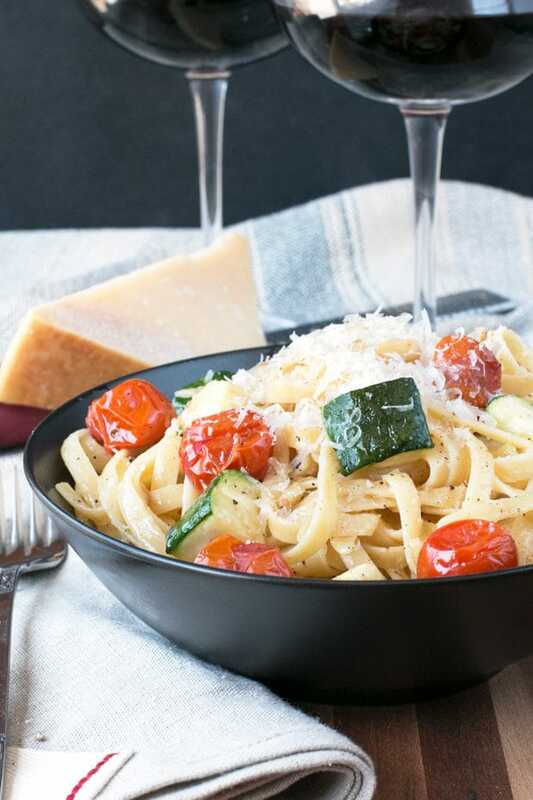 This pasta is a seasonal favorite everyone will love. In a medium bowl toss tomatoes and zucchini with olive oil. Spread out into an even layer on a rimmed baking sheet. Season with salt and pepper. Roast in the oven for 10 minutes. Set aside. Cook pasta according to instructions on the package. Reserve 1/2 cup of pasta water and drain. Set aside. In a large skillet, melt butter. Add pine nuts and cook until the butter is golden brown, approximately 10 minutes, over medium-high heat. Add garlic powder, salt and pepper, stirring to combine. Stir in pasta water to finish the sauce. Season with more salt and pepper to taste. Add the pasta and toss in the brown butter sauce. Cook until the pasta is warmed through. Stir in cheeses, and then stir in roasted tomatoes and zucchini.